Kids love magic. MrGoodfriend loves to entertain kids. Your child and friends will love their personal, special magic show. Blue & Gold banquets have been a specialty of MrGoodfriend magic shows for years. Your boys and families will really love the show. Hospitality suites, birthday parties for adults, restaurant and special occasions are perfect for mingling magic. Employee appreciation, trade shows, product launch, holiday parties and more are more fun with the magic of MrGoodfriend. Look at a little sample of how fun and entertaining is Dallas party magician MrGoodfriend. Planning tips and information for having a great kids party. Click on the button to get a party magic show estimate. Our pack had MrGoodfriend for the annual Blue & Gold banquet. He held their attention with lots of fun, games and of course MAGIC! 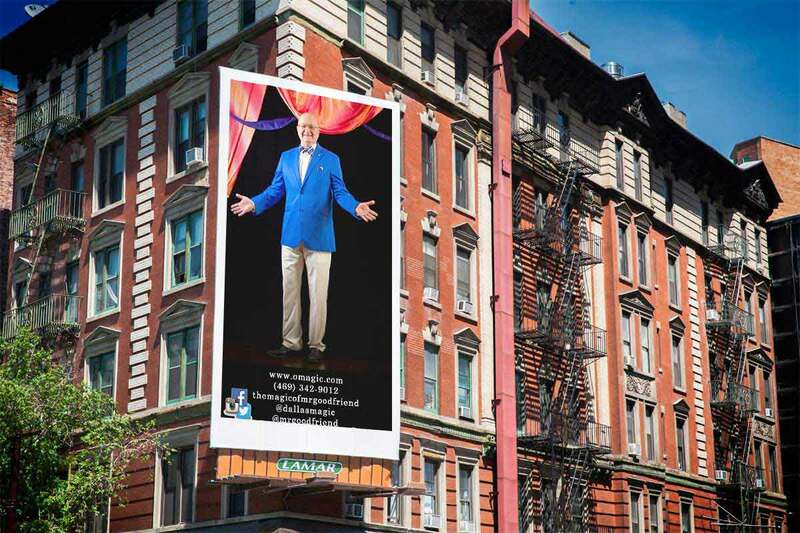 Entertaining family, friends becomes much easier when you have a professional and experienced performer like MrGoodfriend. His amazing and amusing magic shows are perfect for entertaining small parties and large events. If you want to know what to expect from a kids party magician, this video recap might give a little insight as to what a magic show party looks like.